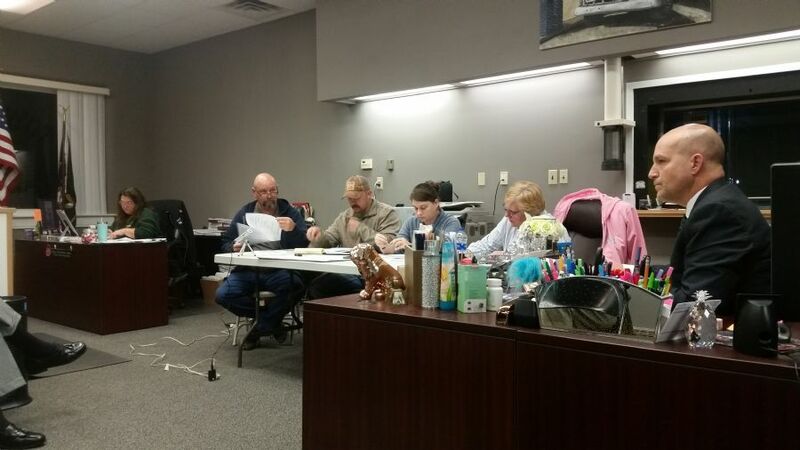 The Planning Board held a regularly scheduled meeting on April 11th at Lapel Town Hall. Due to the increase in traffic on Town roads south of SR32 and west of SR13 by motorists attempting to get around the closure of SR38 by INDOT for bridge work the Planning board is seeking to enact an emergency resolution to prevent vehicles over 7 tons from straying off the detour route. Some of the former county roads in that area of Lapel need repaving and this increase in heavy traffic is causing them to deteriorate quicker than planned. The Planning Board is also seeking financial assistance from INDOT to help cover the cost of repairing some of these roads that are getting damaged. 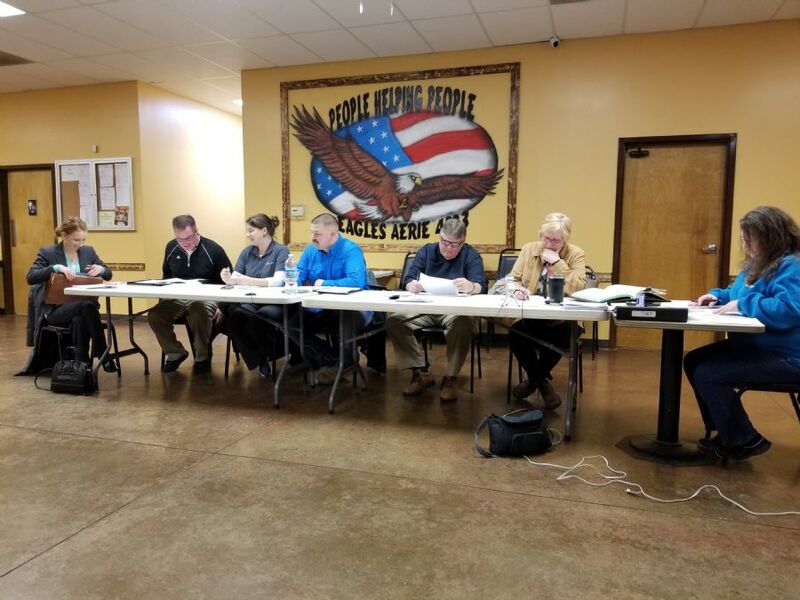 The Lapel Park Board held a regular meeting at Lapel Town Hall on April 8th 2019 from 7pm. Members present: Bill Hutton (President), Linda Hormell, Travis Forrest, Steve Tipps, Tammy Hersberger, Jason Kleinbub (Council Liaison). The main item on the agenda was the new park. The concession stand is almost done, there are still some things to complete but the bulk of the work is now done. The fields are coming along, the Park Board hopes to have three of the four fields ready to play on within a few weeks. The dugouts are not yet finished, but roofing will be going up on them soon and stone is likely to be installed as a floor in the next week. The Park board is still hopeful that E & B paving will be able to complete work on paving parts of the new park before the season opens. Saturday 13th April is a scheduled work day so anyone that wishes to come out and help work on completing the new park is welcome to do so. 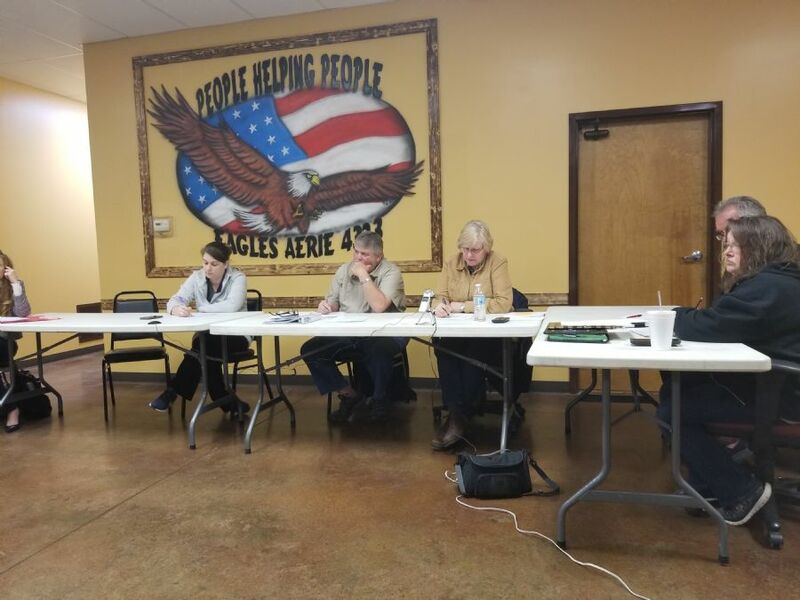 The Town Council held a regular meeting on April 4th at the Eagles on 9th St.
Members present Tom Marvel, Tony Pearson (Vice President) and Deb Wainscott (President). 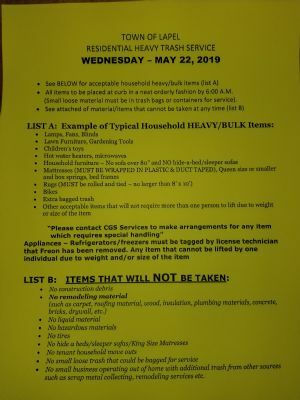 The Town Council read and approved Ordinance #3-2019 to establish no parking zones on several local roads and #4-2019 to establish road weight limits with local deliveries and school buses exempt on Brookside Road and Bulldog Boulevard. A copy of these ordinances will be made available in the Ordinance system as soon as possible. The Town Council voted and approved waiving the 2nd and 3rd reading of ordinance #3 and #4. The Town Council discussed purchasing a new light utility truck or small car to be used by the Town Ordinance Enforcement Officer. At a previous meeting the Council discussed using one of the Police department vehicles that was no longer in service, but it was discovered one of the two Crown Victoria's the PD had was sent to auction and the remaining Crown Vic is actively used by the Police Department. The Council authorized Dennis Molina to look at a used vehicle under $20,000 and present a list to the Council. Tom Marvel gave an update on the new Park for Jason Kleinbub (Park Council liaison who was not present). Aeration at the new fields is done. Tractor Supply donated the use of a trailer to move equipment around. Sunbelt donated the use of several pieces of equipment to work on the park. The fields have been fertilized and weeds have been removed. The concession stand is coming along. He added a lot of people have stepped up since the Town Council and Park Board had a meeting and some of the things have now been completed at little to no cost to the Town or the Park Board through donations and offers of help. Approximately 150 people have applied for the Full Time Clerk position, and 3 people have applied for the Part Time Clerk position. There are still a few more days left for people to apply. Interviews of the top candidates will be scheduled before the next Town Council meeting on April 19th. 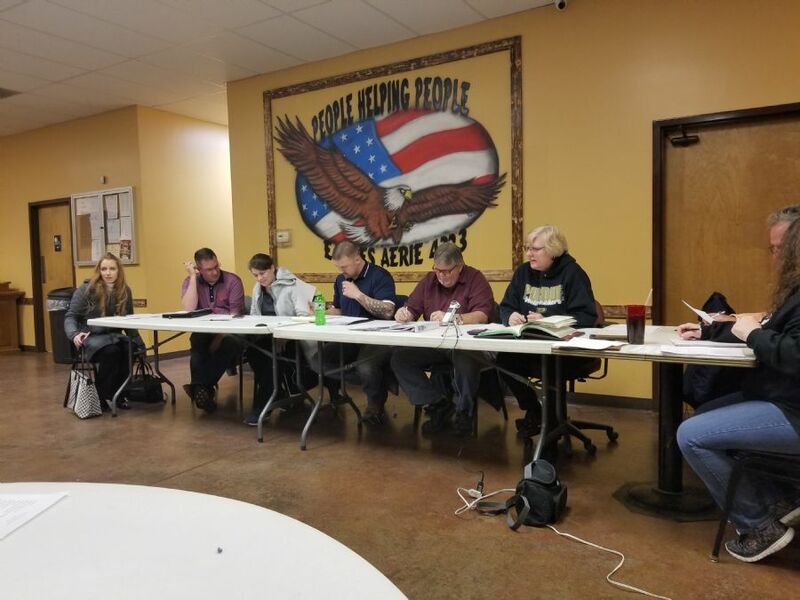 The Lapel Town Council held a special meeting on March 26th at 7pm. Members present Jason Kleinbub, Lindsay Washmuth, Tom Marvel, Tony Pearson (Vice President), Deb Wainscott (President). A large contingent of Park Board members were present to discuss the progress at the new park with the Town Council. Deb Wainscott asked Bill Hutton (Park Board President) the status of the new park. Hutton stated that "they still have the restrooms, basketball goals, trail, concession stand interior, dug outs and some final top soil work to complete". While the concession stand is almost done, all the equipment needs to be moved in and cabinets and counter tops need to be purchased and installed. The Town Council asked for an approximate dollar amount to complete all the remaining work necessary to get the park done. The initial amount discussed was in the $25,000 to $30,000 range. The Town Council asked how they (Park Board) is going to make money from the park. Hutton stated that "they are allowed to charge a nominal fee of $1 per player per league to use the park and that they hope to take a percentage of concession stand revenue and also to be able to charge a fee for someone to pre-book the use of a field". Wainscott asked what they planned to do with the rest of the land at the new park. Tammy Hershberger (Park Board) said they wanted to put a dog park in eventually. Wainscott said that "she thought that would be a big problem and asked if they could put more ball fields in". Hutton stated they "would have to level off the land and that somewhere on that side there is an archaeological site that would need to be excavated and dealt with correctly before construction could start on any new development". Wainscott asked "if they were going to level off the mounds of dirt because they have had complaints about it". Hutton said "It is possible". Jason Kleinbub asked if the Park Board was sure they could charge people to reserve a field. Ashley Hopper (Town Attorney) stated "that legally they could charge fees to cover costs". Wainscott asked who would be responsible for running the concession stand and paying utilities. Hutton stated that he wanted the softball league to run the concession stand, but the Park Board would have to pay utilities. The Softball League is willing to give a percentage of concession stand sales back to the Park Board to hopefully allow them to hire a part time employee to take care of the park. It was noted that the Youth Baseball League does not give a percentage of concession stand sales back to the Park Department and they are using Memorial Park. Tom Marvel stated, "you should either charge a percentage fee for the boys too or not charge one for either which would be morally correct." Nathan Wainscott added "the town is asking how much money it is going to cost to finish the park. They are giving the park board a lifeline. It needs to get done". He also stated that "nobody is faulting the park board. As it stands, we are losing girls from the softball league to travel teams". Kleinbub thought that "the dugouts should not be a priority, they can be finished later, the focus should be on getting the playing surface done" and he thought that would cost at least $3,000 per field. Both the Town Council and Park Board agreed that it was time to hire people to get the work done because waiting on volunteers was not always helpful. Hutton added that it has also been too wet to get a lot of these projects finished and that the companies or people he had spoken with about some of these things were backed up with work due to the weather. Kleinbub offered to help with getting the fields dressed. Wainscott said she has "seen parks at other small towns that are way better than what we have and thought that $200,000 is a lot of money (referring to the grant money the Park Board received from DNR to do this project) and that you need to get it finished". Hutton stated "You know how much money you spent on this park. (pointing to Central Park across from Town Hall). The new park is twenty times that size and should have really cost us $800,000 or more. After a lengthy discussion about what can be done the Town Council voted to and approved spending $50,000 of the Cascadden gift money on finishing the new park contingent on following state law. The Town Council agreed to a starting salary of $14-17 for the position of part time secretary. 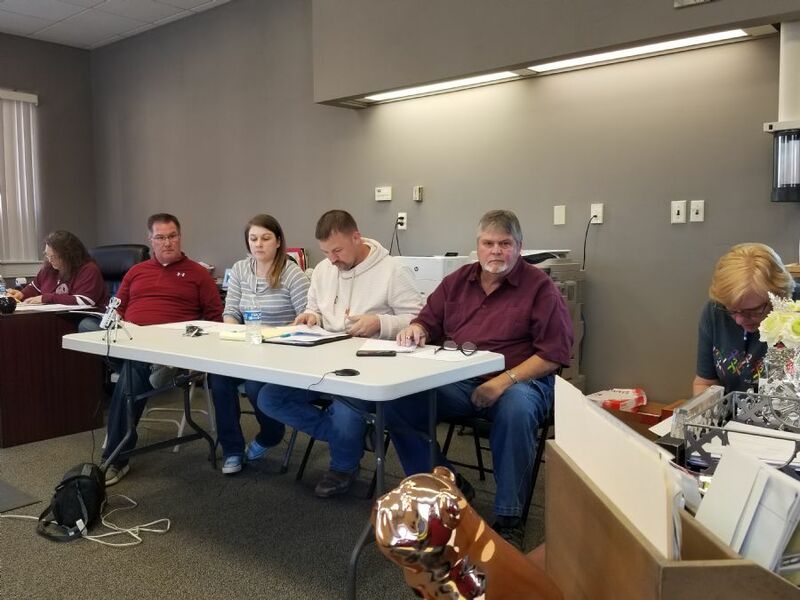 The Lapel Town Council opened the meeting with a Public Hearing to discuss the Lapel Stony Creek Township Fire Territory hoping to increase its tax rate from 0.0291 to 0.0333. The Fire Department is planning to get a new Ambulance which is expected to cost $280,000 and this tax rate increase will yield an extra $6,000 per year to go towards the Equipment Replacement Fund. The current Ambulance is now over 10 years old. The Lapel Town Council held a regular Town Meeting at the Eagles on 9th St.
Members present Lindsay Washmuth, Tony Pearson, Deb Wainscott. The Town Council voted to approve the Lapel Stony Creek Township Fire Territory rate increase and waived the second and third readings of the ordinance. 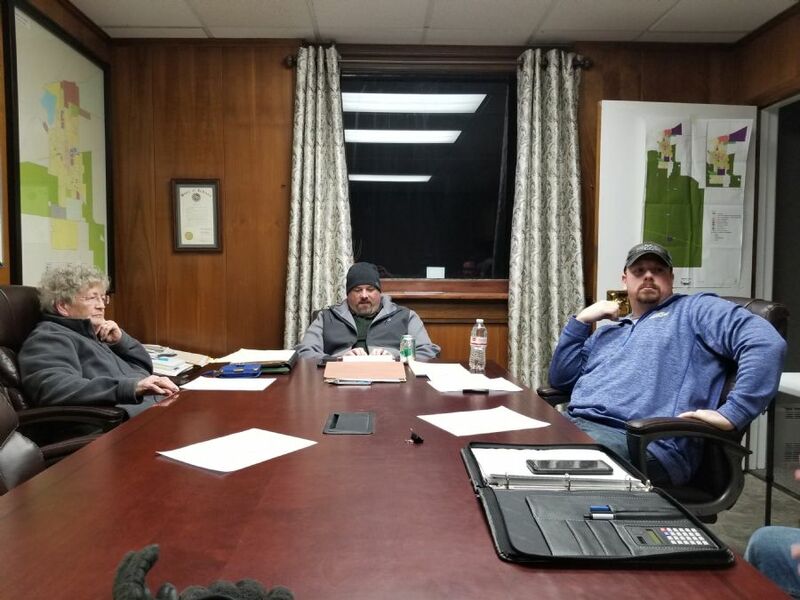 The Town Council voted to approve the March 7th Meeting Minutes, Claims and voted to approve hiring New Focus to create employee handbooks and work with the Town on HR matters. RQAW presented the Town with contracts to sign for the Community Crossings / E&B Paving Projects. The Town Council briefly discussed hiring RQAW to inspect two road bridges. The one on 200 outside the High School and the one on 300 next to the Cemetery. RQAW will charge $1,700 per bridge for the inspection. The Town Council approved the expense. RQAW advised the Town of Lapel that the next round of Community Crossing funding from INDOT opens in July. The Town will need to have its road report updated to apply for this round as it has been two years since the report was completed. The Town is also working on an ADA transition plan that needs to be completed to apply this time. Gary Shuck (Planning President) informed the Town that there is a lot of interest in building houses South West of Town and that the Town needs to have a plan in place to roll out utilities to the area. Shuck met with RQAW to discuss getting a plan in place. Lindsay Washmuth asked if it would be possible to re-write ordinances that require Town utilities on site to allow for a Well / Septic in certain locations. Shuck suggested that would be one way to do it. Shuck also added that he wants to see the Atlantic Road area on the west boundary of Lapel to be for Industrial or Commercial development. The Storm Siren was not broken, Hamilton County shuts them off during Winter. They did work during the testing held on Tuesday. There is a Special Meeting on Tuesday 26th of March at Lapel Town Hall from 7pm. 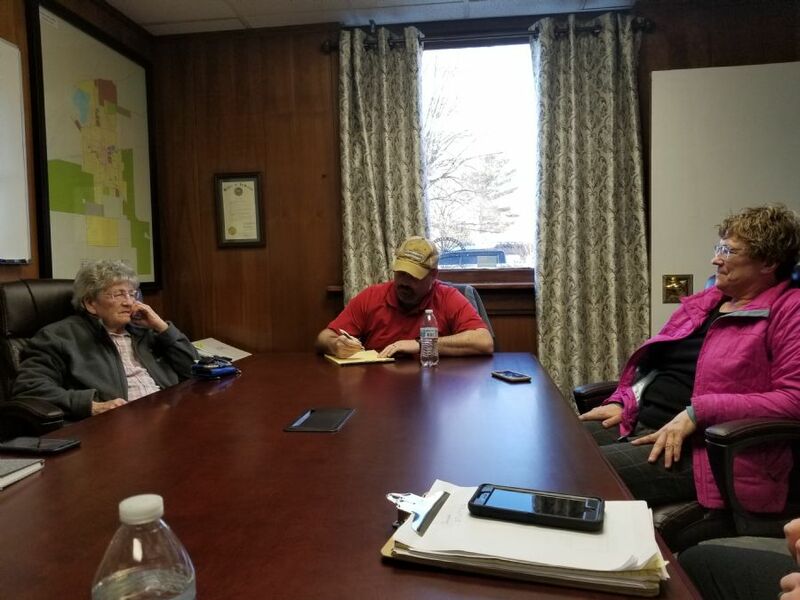 The Planning Committee met at Lapel Town Hall for a regular meeting on March 14th 2019. The committee discussed and approved planning permits 2207 thru 2210. The committee also discussed several properties in Town they would like to see cleaned up including the Wyant property on SR13. 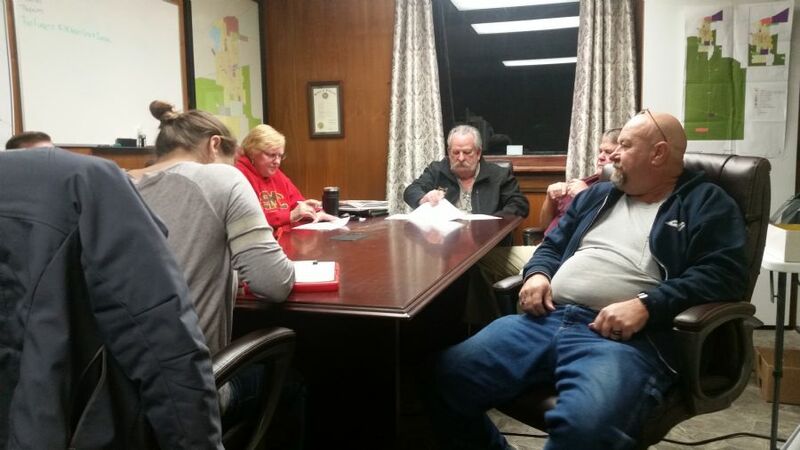 A regular Park Meeting at Lapel Town Hall was dominated by news of the Lapel Baseball and Softball Leagues. Nathan Wainscott informed the Park Board that Softball will be holding four planned workdays at the new yet unnamed park (commonly referred to as Bulldog Park) on March 16th, 30th and April 13th and 20th. People wishing to help get the park ready for Softball are encouraged to attend during the hours of 9am to 5pm. John Mendenhall and Justin Ridings asked the Park Board for permission to remove a window in the T-Ball building at Memorial Park to install a rolling metal door to enable them to convert the building to storage. The Park Board approved that idea, other ideas discussed included getting a bigger storage building or a shed. 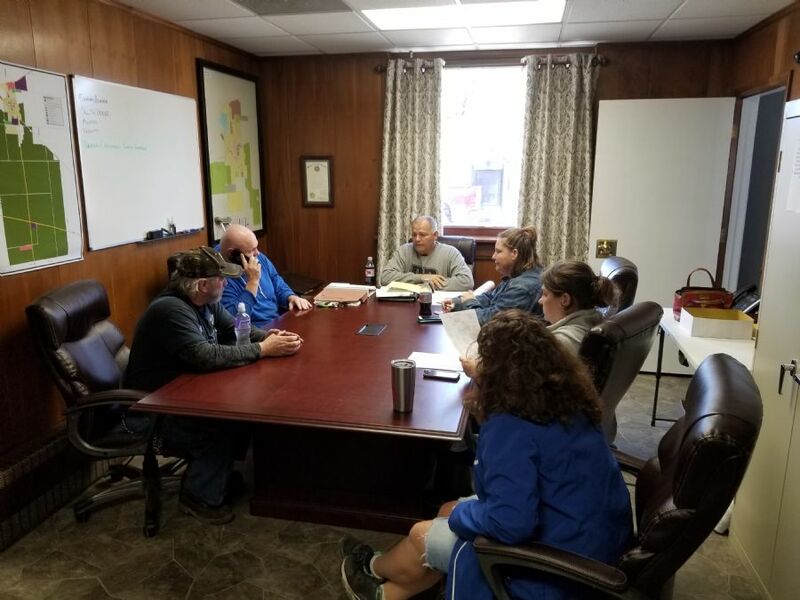 Wainscott and Bill Hutton (Park President) discussed several that would need to be done at the new park to get it ready for the start of the Softball season in early May. Current plans are to get two of the four fields ready for play now and hope to bring the other two online later in the year or next year. Finish dugout(s), including roofing and laying a stone floor. Lumber supplies should still be on site, but shingles and tar paper may need to be purchased. 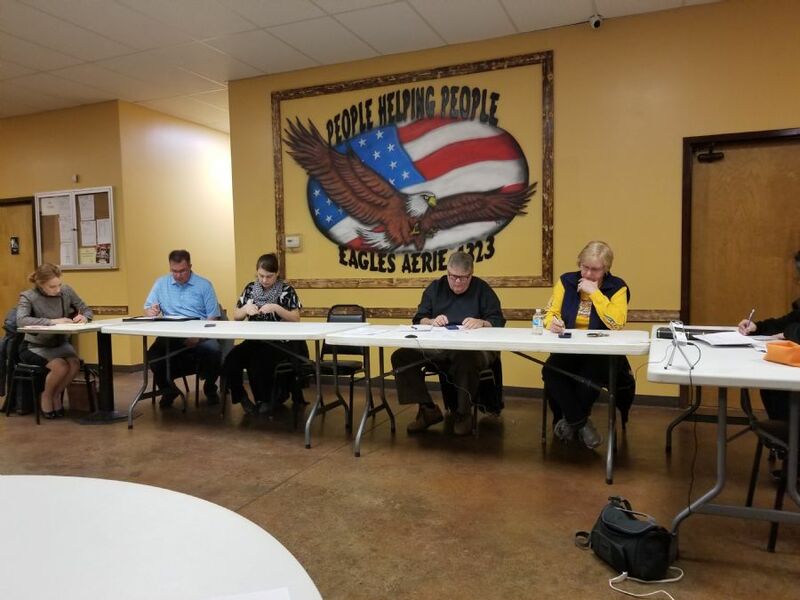 The Lapel Town Council held a regular meeting at the Lapel Eagles on 9th St. The meeting started at 7pm. All Town Council members were present as were Ashley Hopper (Town Attorney) and Dennis Molina (Clerk/Treasurer) and Paula Lee (Deputy Clerk/Treasurer). 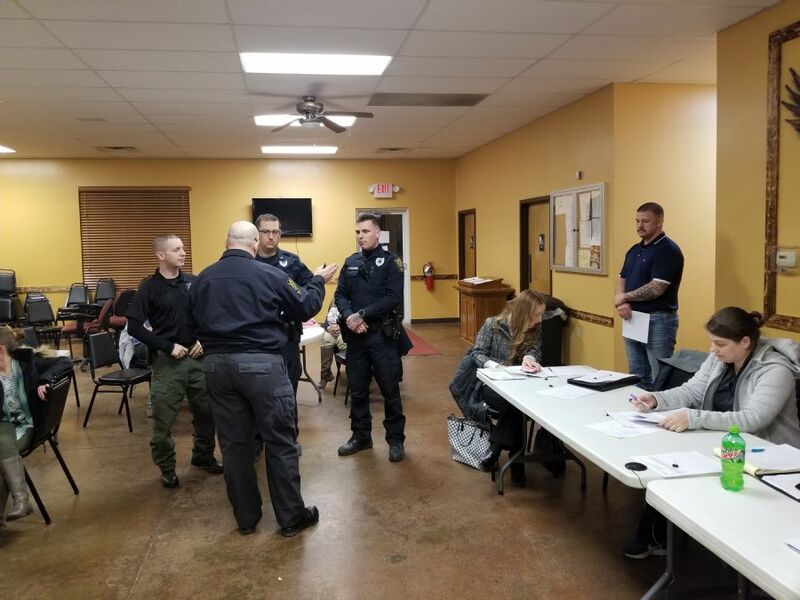 Officers Swinford, Garner and Petty were introduced to the Town Council. These three new officers are replacing officers that have left the Department in the last few months. Officer Garner will take over responsibility for the Lapel K9. Assuming training goes well. Long time member of the Lapel Police Department Jon Buffington was promoted to Captain retroactively applied from February 17th. The Town of Lapel did not receive funding for the OCRA Grant, the Town did score a 481 out of 700 points under the grant scoring system. Funding was handed out on a project basis based on this score, with a higher score meaning the project had a higher priority. Unfortunately, OCRA's funding for this round of grants meant that the Town of Lapel did not score high enough to get the $600,000 in grant money the Town was seeking. The funds were going to be used for a number of projects to improve and repair Town infrastructure. The Town of Lapel will re-apply for the next round of grants when they open on March 24th. The Town of Lapel did succeed in receiving Community Crossings money to help with paving projects in the Town of Lapel. E and B Paving came in with the lowest bid and it was approved by the Town Council. This project will see $430,000 worth of road paving work conducted in the Town of Lapel. 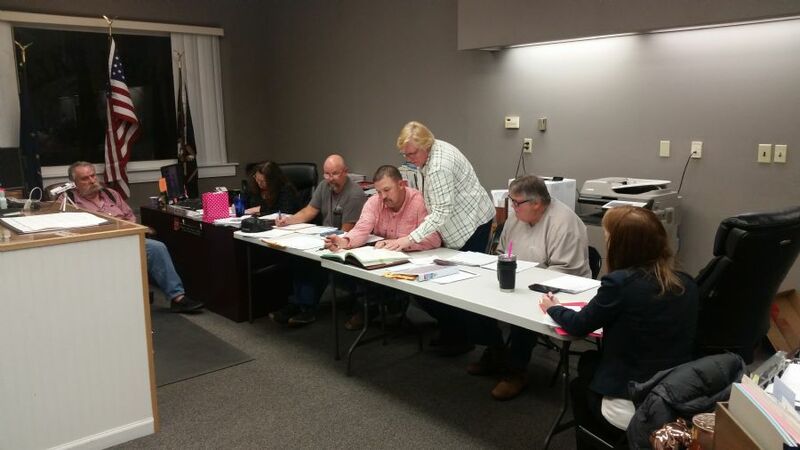 The Town Council discussed hiring New Focus to work on human resource tasks for the Town of Lapel, which would include employee handbooks, job descriptions and employee training. Town attorney Ashley Hopper wants to review the contract and a decision will be made at the next Town Meeting. The Town Council approved purchasing a further 200 radio read water meters, there are 298 meters that need to be replaced as part of ongoing work to update all of the meters to radio reads. Further meters may be bought later in the year to complete the project this year assuming there is enough money available to do so. The Town Council agreed to offer part time employee Virgil Hobbs a pay increase to $16 per hour. The Town Council agreed to move Mike Daniels from a part time employee to a full-time employee. 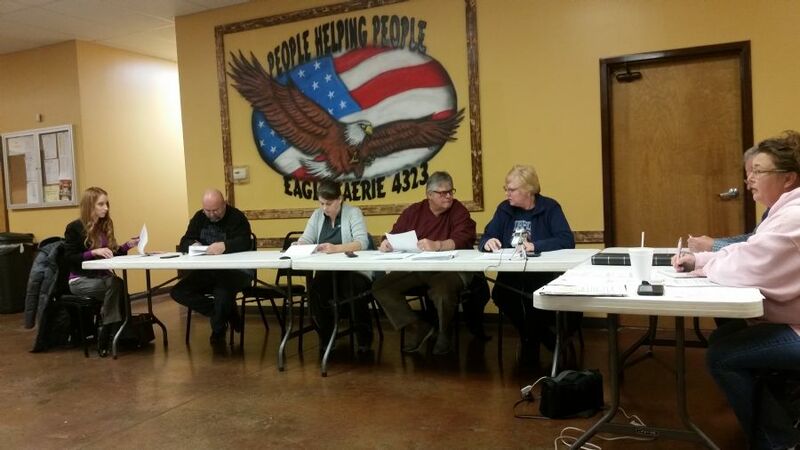 The Lapel Town Council held a regular Town Meeting at the Eagles on 9th St from 7pm on February 7th. Members present Tony Pearson (Vice President), Deb Wainscott (President), Jason Kleinbub and Lindsay Washmuth. The Town Council approved a $1,326 quote for a new Water Softener from Water Works. This was the lowest quote, with other quote prices ranging from $1,400 to $1,600. Kenny Bourke asked the Town Council about a parking problem he has at Olevia's Gingersnaps Day Care. The Town was going to look into the issue and get back with him. 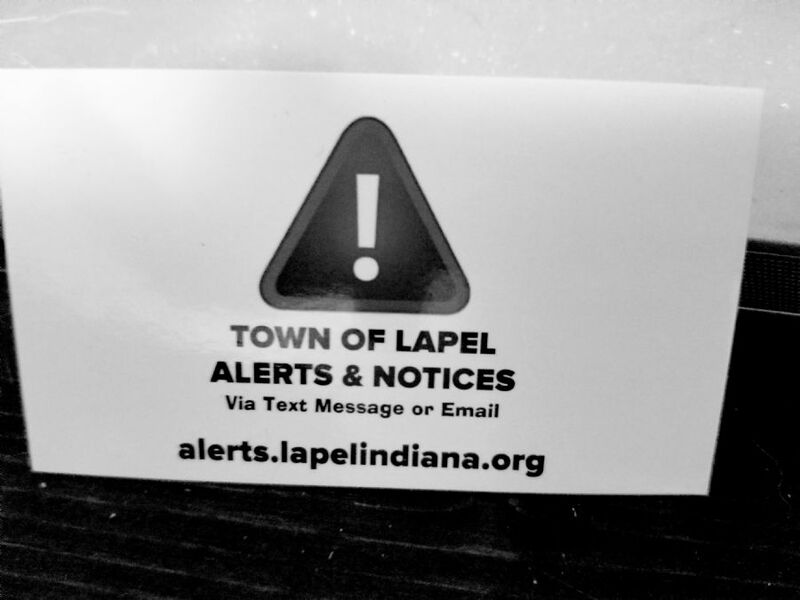 The Town of Lapel Alert System is now live. Anyone unable to complete online registration or who does not have an Email address but does have a Cellphone can visit Town Hall and fill out a form to have you added to the new system. The Town Council discussed requests for a trash pickup credit for their being no trash service last week due to the record-breaking cold weather. The requested credit would be $3.14. Deb Wainscott stated that the event was "nothing we could control" and thought most residents would understand. The Town Council voted NO to issue a credit. These hires are to replace vacancies left open by officers that have recently left. Naselroad plans on hiring a third officer, to replace Michael Porter who is also leaving shortly. The K9 will hopefully be kept with one of the new recruits who will become its handler after some additional training. 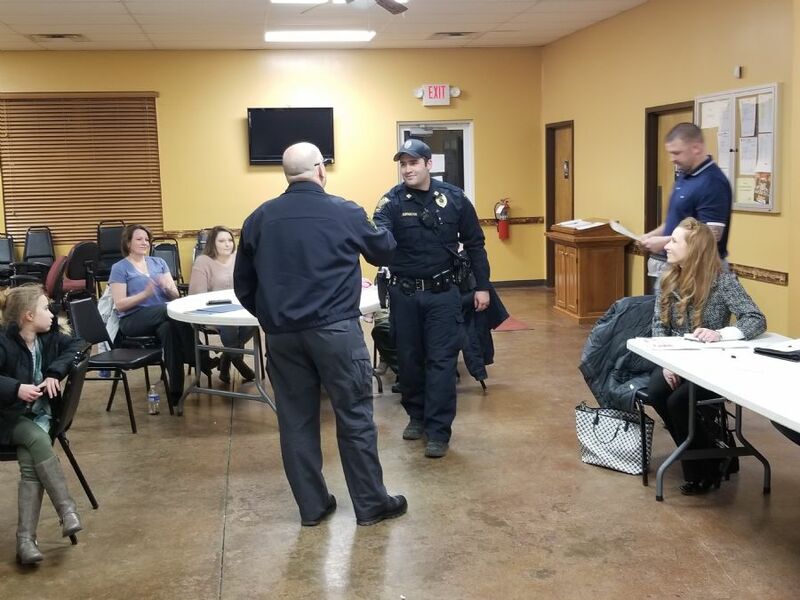 Naselroad discussed having some form of official ceremony to welcome the new officers and their families to the Town of Lapel but nothing was officially decided. The Town Council briefly discussed Traffic Ordinances and Zoning Ordinances and who is responsible for enforcing them for clarification purposes. A resident who lives on West 7th St expressed his concerns about flooding problems and issues with parking since Fort Lapelton Automotive opened. He stated that he was not out to get anyone, but he had concerns that it would be hard for emergency vehicles to get to his house if the need arose. The Town Council offered to investigate the flooding and have someone talk to Fort Lapelton about the parking situation. The Town Council authorized two town employees to go on Gas Training overnight in Effingham. 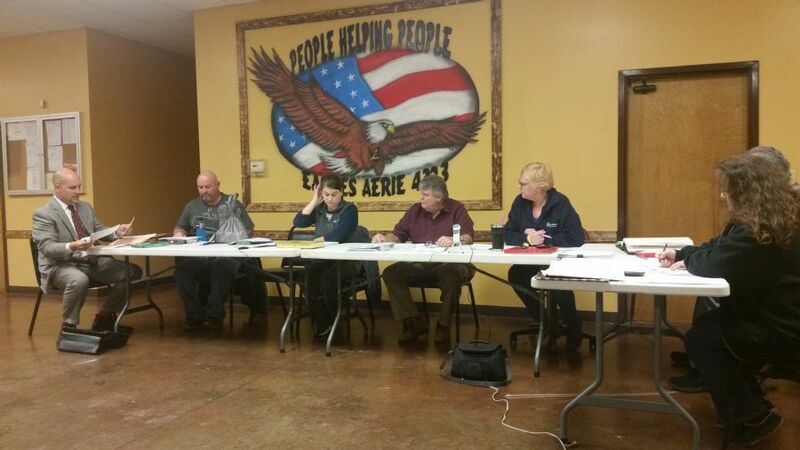 The Lapel Town Council held a regular meeting at the Eagles at 7pm on January 17th. Deb Wainscott welcomed Jason Kleinbub to the board as the new member finishing Michael Cates term for the next year. There is a meeting on February 5th, 2019 from 2pm at the Lapel Library with INDOT. INDOT Is looking to redevelop the entire SR13 corridor from the three way stop to SR32. Plans include resurfacing the road, rebuilding the sidewalks and ADA changes. Representatives from the Town, Planning Department and Forza CRE met to discuss PLEASANT VIEW apartments. 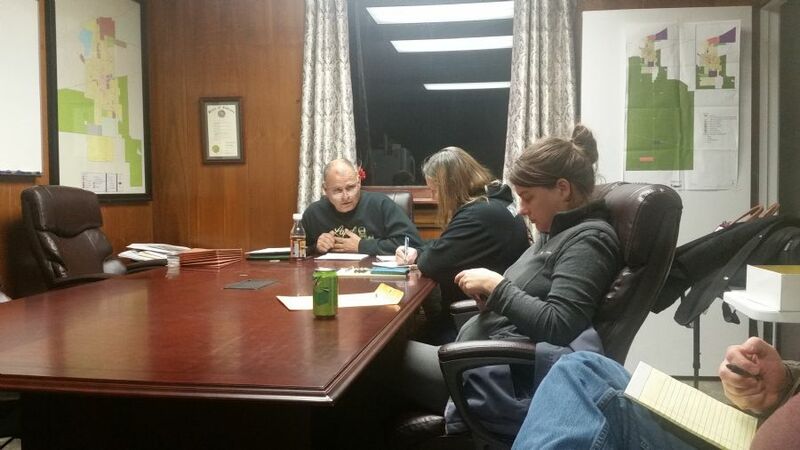 All sides reached an agreement on the amount of money in impact fees that would need to be paid to the Town of Lapel. The amount was agreed at $90,000 although the Town of Lapel will be crediting Forza CRE $45,000 as some work that was completed at the expense of Forza CRE would have normally been completed at the Town's expense. A payment of $9,000 will be made this year, with the remainder due over five years. The Town Council voted to approve this with a 4 yes to 1 no vote. Make it no parking on Brookside Road from 8th St to Bulldog Boulevard. Ask Owens-Illinois to discontinue diagonal parking in front of the plant as larger vehicles can impede traffic flow on Brookside Road. Add new signage outside Owens-Illinois to improve traffic flow and avoid confusion from delivery drivers. Put weight limits on the bridge on 200 S next to the High School and on Bulldog Boulevard near Montgomery Farms - not to exceed 5 tons. Also, no trucks over two axles except for school buses on those two bridges. Shuck informed the Town Council that the bridges in question in the last item are in a bad way and the Town will need to come up with some money to replace them eventually. Chief Naselroad informed the Town Council the cost of the new Police vehicle would now be $31,500 for the vehicle and $7,031 for the upfit and cage. Naselroad also noted after conducting interviews he had two people lined up to hire for the two vacancies and a third in mind if needed. One of the new hires has 6 years of law enforcement experience and is an academy graduate, while the other has no experience but comes from a small town and wants to stay in a small town. The Town Council discussed hiring a part time office worker to provide support and cover during busy periods and cover for Paula Lee and Trisha Bousman when they have vacation time to use up. The Redevelopment Commission held a meeting at 6:30pm at the Eagles. Members present Lindsay Washmuth, Deb Wainscott, Tony Pearson and Tom Marvel. Dave Taylor was not present. The commission is still working on getting members from the Town of Lapel and Deb Wainscott is going to talk to three potential members. Of the current make up only Lindsay Washmuth and Deb Wainscott are likely to remain on the Redevelopment Commission with the addition of 4 new members ... 3 from the public and one non-voting member appointed by the School board. The position offers no pay, and there is no term limit or term restrictions. The Redevelopment Commission will meet 6:30pm the same day as the second Town meeting of the month at the Eagles, when there is business to discuss. 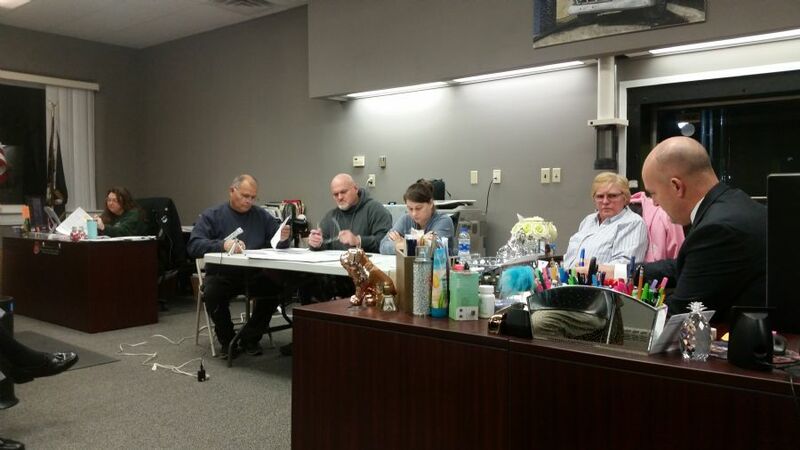 The Park Board held a regular meeting on January 14th at 7pm at Lapel Town Hall. The Park Board would like to thank Andy Morgan for serving on the board, his term has now ended and there is currently a vacancy on the board. The Board voted to keep Bill Hutton as President, Tammy Hersberger as Vice President and Steve Tipps as Secretary. Meetings will continue to be held on the second Monday at 7pm. Work on paving/trail construction has been delayed due to the weather. Scott and Tammy Hersberger would like to donate a tree in memory of Jane Gwinn at Woodward Park. Gwinn was a longtime friend to the parks, and she loved trees, sadly she passed away earlier this month. 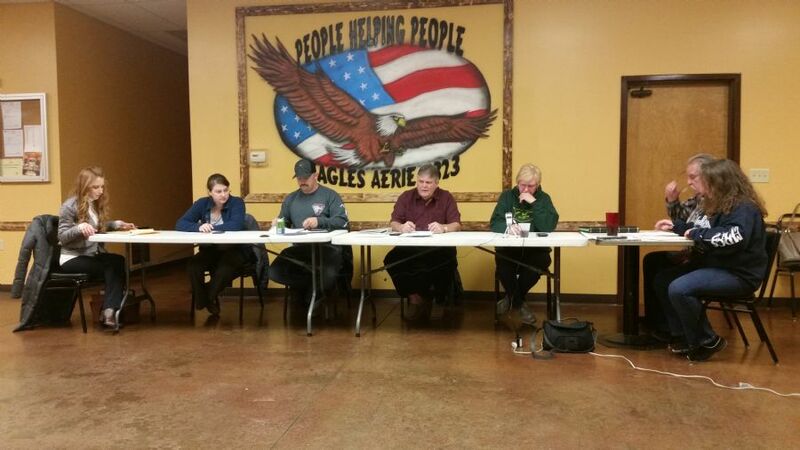 The Lapel Town Council held a regular Town Meeting at the Eagles on 9th St on January 3rd. Members present Deb Wainscott (President), Tony Pearson (VP), Lindsay Washmuth, Tom Marvel. There will be a vacant seat until the 8th of January when a new member will be selected to finish out Michael Cates' final year. The Town Council elected to keep the meeting dates the same for 2019 with the first and third Thursday of the month. Wainscott and Pearson will keep their positions as President and Vice President. The Council discussed water meters for the Pleasant View apartments and gave approval to order three new 2-inch water meters. The Town Council approved replacing both a Utility Department and Waste Water Department computer at an all-in cost of $900 per computer from Regal Computer Services. This is to be conducted as part of the Town's policy to replace computers every 5 years. The Town Council also approved a Town wide Text/Email alert and notice system to be developed by Regal Computer Services at a cost of $150 per month for up to 12,000 messages per month. Chief Naselroad informed the Council it would cost $6,536.45 to upfit the new Police vehicle, this includes a little over $2,000 for a cage and window bar system. It would also cost $5,631 to install cages in three Ford Police vehicles. The damaged Ford Police vehicle requires a new wiring harness that should be in stock and installed so that the vehicle can be back in service within two weeks. The Lapel Town Council president Deb Wainscott has asked residents interested in serving on the Redevelopment Commission to reach out and contact Town Hall. The Redevelopment Commission is a new board, which is currently made up of Town Council members. The board consists of five members of the public and a sixth non-voting member appointed by the school board. Please contact Town Hall and leave your name, number or email address and a note on why you think you would like to serve on the board. Members will be chosen at a later Town Meeting. A Redevelopment Commission is responsible for the rehabilitation and development of land and property using Tax Increment Financing (TIF). You can call email Town Hall via the Contact Us page or stop by Town Hall on Main Street during its regular hours 8am to 4pm. Closed Christmas Eve, Christmas Day, New Years Day and Saturday and Sunday. The Town Council held a re-scheduled Town Meeting at Town Hall last night from 7pm. Deb Wainscott (President), Tony Pearson (Vice President), Dave Taylor and Tom Marvel were present. The Town Council read a "missing" ordinance from 2016 that has now been updated concerning road weight limits. The ordinance declares Main St a "no truck" zone excluding vehicles with a weight of 26,000lbs or more. There are fines for violating this ordinance. All members present voted yes except for Tom Marvel who voted no. The council accepted the ordinance. 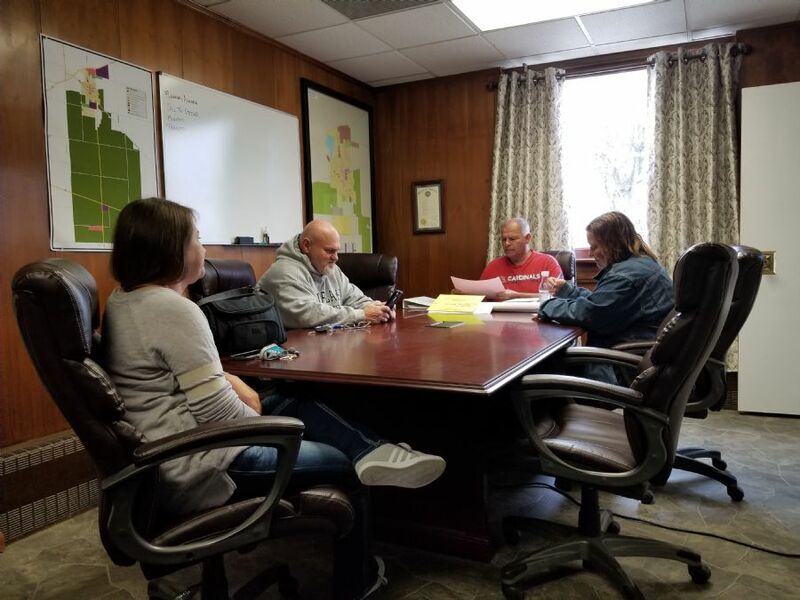 The Town of Lapel and Vectren are engaged in talks to discuss serving the Shelby Materials Concrete plant that was put in along 650 S, which is inside Town limits on the far south side. Vectren has installed hardware to facilitate providing gas to that location, but the Town of Lapel was not offered first refusal to do so. The Town has just discovered that Shelby is expecting gas service by December 14th which would be impossible for the Town of Lapel to do given they still have several miles of gas line to run. Gas line was ordered months ago to expand the gas line all the way to near 700 S but work was put on hold when the legal dispute was discovered. Residents may have noticed the spools of yellow line sitting outside the utility building for the last few months. Deb Wainscott was not happy that USDI stopped work on installing the line and wants them to resume. Dave Taylor commented "USDI should do the work and Shelby Materials can wait until it is done". Most council members agreed that Shelby Materials should have known the property was in Lapel and asked us for service. Tom Marvel suggested "someone needs to talk to Shelby Materials". Furthermore, messages have been received by some residents in Lapel that are building in the additions that Vectren is the only gas service provider for the Town. The Town Attorney is in talks with Vectren to clear up these and some other disputes. The Town Council asked the utility department to get pricing and then we can order the final section of pipe that would run from the 4-inch gas line onto the property as well as the 2-inch meter and regulator. In the meantime it sounds like USDI will be asked to resume installing the gas line from 400 S so that Lapel can start supplying potential customers including Shelby Materials. Work on the concession stand is expected to be finished this week, DNR is to do a final inspection. Officer Whisler has resigned and the 15th will be his last day. He has been asked to repay the cost of his training as he did not stay with the Town two years after graduating, which is in Town policy for Police Officers. Reserve Officer Biddle has resigned. Part Time Officers Owens and Ricketts have resigned as they are moving to work for IMPD. New Part Time Officer Jason Thomas will be joining the department. Chief Naselroad is still reviewing 12 candidates for Full Time hires. The Council approved buying a Dodge Durango 2019 Pursuit rated Police Vehicle for $31,528. The Council want Chief Naselroad to come back with quotes to install a half-cage in this vehicle and all the other used Police vehicles to provide safety to officers when transporting prisoners. One of the Police vehicles being driven by Officer Whisler was involved in a crash with a semi, the insurance of the semi is expected to pay the $13,000 repair bill. 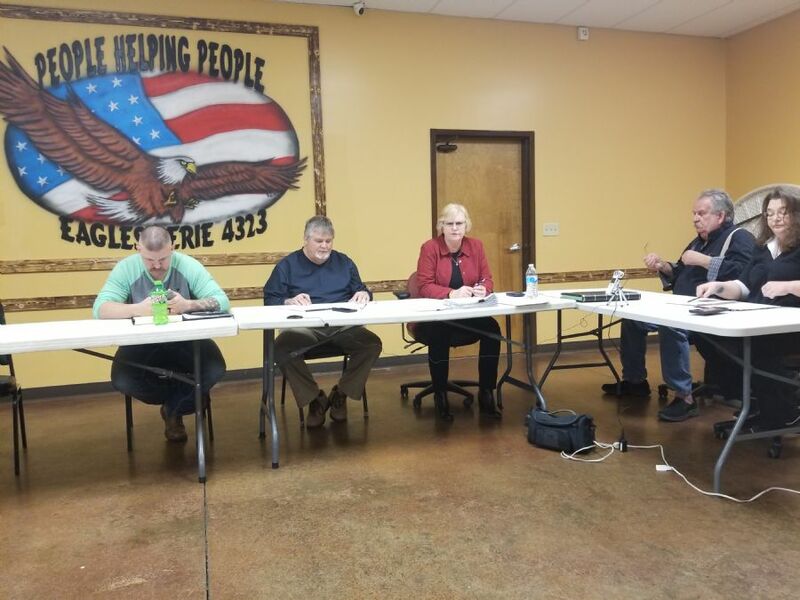 In a busy night the Town of Lapel held three meetings consecutively to discuss and vote on both a Lapel Economic Development Area and the creation of a TIF District. The Redevelopment Commission which is currently comprised of the Town Council but will later be made up by members of the Public, voted to accept resolution 1-2018 creating a designated development area. The Commission also voted to accept resolution 2-2018 which establishes a legal TIF area and details the parcels that are within the TIF area. Redevelopment Commission Members present - Deb Wainscott, Lindsay Washmuth, Tom Marvel, Dave Taylor. Deb Wainscott was approved as President of this board, Lindsay Washmuth as vice president and Tony Pearson (absent from meeting) as Secretary. The first meeting of the Commission in 2019 will be January 17th at 6:30pm at the Eagles. The Commission also approved using Wabash Scientific, Inc to develop a plan, strategies and act as advisors regarding the development area at a cost expected to be less than $10,000. Reedy Financial Group was also approved to act as financial advisor to the Redevelopment Commission after receiving high praise from Jeff Graham (Town Attorney) who stated he had dealt with them in the past with other towns and they were "absolutely fabulous" and would treat Lapel as if it were their only client. Mike Shaver from Wabash Scientific, Inc presented the Town with a draft Economic Development Plan and discussed possible uses for TIF funds such as matching money for OCRA and Community Crossing grants. The initial TIF resolution details the 40-acre agricultural parcel that was turned into a Shelby Materials concrete plant earlier this year. Using TIF allows the Town to capture for itself additional tax money, for example if a piece of land is valued at $50,000 and is within the TIF area and is redeveloped with a $1,000,000 development the Town of Lapel alone will receive the additional tax revenue from that $1,000,000 development for 25 years while all other taxing entities will still receive their original tax draw at the $50,000 amount prior to development. At a 3% tax rate a $1,000,000 development would give the Town an additional $30,000 per year in tax revenue. Planning members Gary Shuck, Tony Hewitt and Lindsay Washmuth then voted on resolution 1-2018 and 2-2018 which approved the Development Area and TIF district declaration. The Town Council then voted on resolution 5-2018 and 6-2018 to approve the Development Area and TIF district declaration. A draft copy of the Economic Development Plan will be made available on the Town website in the coming days. A Public Meeting was held at Lapel Town Hall on November 19th concerning the OCRA Water grant project with the meeting led by Mike Kleinpeter of Kleinpeter Consulting Group. This was the third public hearing concerning this round of OCRA grants and started with news that Lapel can now claim as much as $600,000 in matching funds from OCRA. The Town of Lapel has to provide a local match of $160,000 (which is 20% of the total amount, with OCRA providing 80%) but if successful would mean Lapel has $760,000 to spend on the tasks outlined in the grant. Rehab Elevated Storage Tank - Silt build up, rusting issues. Kleinpeter stated that "We have done all we can do" and "this is a good project". The application will need to be submitted by November 30th and if awarded the Town of Lapel would not be allowed to apply for another water grant for 5 years but could still apply for a Sewer and Storm Water grant. Typically, 12 - 13 projects are funded through this OCRA grant so there is no guarantee Lapel will be approved as many other communities will also be applying for funds. If approved, you are only allowed to use the grant money for the tasks outlined in the application. The Town should find out early 2019 if it is successful, and work could begin July/August 2019. The Town of Lapel is applying for an OCRA water grant application. Please take 3 minutes to give us feedback and help us score additional points for our grant application. Please click on the link below to be taken to the brief survey regarding water quality in the Town of Lapel. 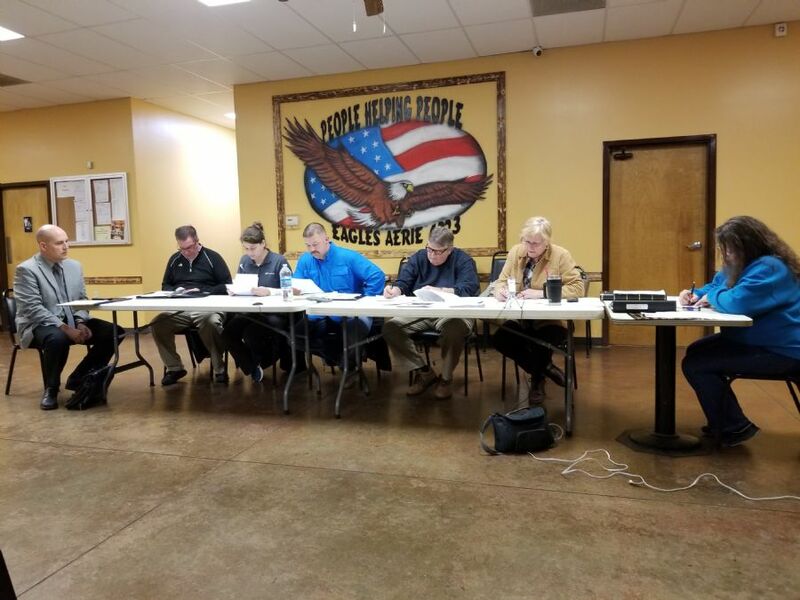 The Town Council met for a regular meeting on November 15th at 7pm at the Eagles. Members present Dave Taylor, Tony Pearson (Vice President), Deb Wainscott (President) and Lindsay Washmuth. Mike Kleinpeter from Kleinpeter Consulting Group held a Public Hearing for the Town's Master Plan for improving the Storm, Waste and Drinking Water systems. A grant from OCRA is being used to fund the cost of the $50,000 plan. With the town having to pay $5,660. OCRA has approved the plan. V Notches, Clarifier Cleaning System - Replace the iron teeth that are not securely fastened and install a cleaning system. Prevent Algae Growth in Clarifiers - Add covers to reduce light. Sewer Relocation at School and 12th St - Sanitary sewer running thru a storm sewer at this location. Upgrade Water Treatment Plant Equipment - Dehumidifier needed. Repair Elevated Storage Tank - Silt build up, rusting issues. Replace Asbestos Cement Mains - need to locate them first. Loop Water System - Loop system where it currently dead ends. Water Main to Fishersburg - 12-inch water main with 8 inch branches. Work on problem areas such as 3rd and John St, Central and 5th/6th St, 13th and Eerie and a few others. - Likely solution is to add bigger pipe. Now that the Town has a plan, they can apply for an OCRA grant to help fix some of these issues. The grants are usually a 80%/20% split with the Town paying 20%. The Town Council voted in favor of creating a Redevelopment Department/Committee. The committee will initially be composed of the Town Council but will later be formed from residents of Lapel. The purpose of this department initially is to look at establishing Tax increment financing (TIF) districts to bring additional property tax revenue to the Town of Lapel. By using TIF districts the Town can highlight areas that they expect to see growth, such as the SR13 corridor and capture future property tax growth from these developments. TIF cannot be established on houses, it only applies to businesses and does not raise anyone's taxes. The first meeting of the Redevelopment Committee will be Tuesday 20th at 6pm at Town Hall. Gary Shuck (Planning) informed the Town Council of a change in plans for the Pleasant View Apartments project currently under construction. There will now likely be 4 2-inch water meters on the Pleasant View property and not a single meter in the easement as originally planned. There was some discussion about this and whether the Town should be responsible for restoring any damage on the property if they must dig up the meters. For example asphalt driveway/parking lot. It is likely they will ask Pleasant View Apartments for a legal document laying out who is responsible for what in regards the location of the meters. Approved paying USDI $3,000 to loop a gas line near 300 South and at 11th and Vine St.
Approved buying a new gas locator tool at a cost of $4,000 the current one is broken and needs repairing, once repaired the Town will then have two. Discussed replacing the Dump Truck purchased a few years ago at auction which has cost the Town a lot of money in repairs and is not as versatile as originally believed. - Pearson asked the Utility department to get prices.